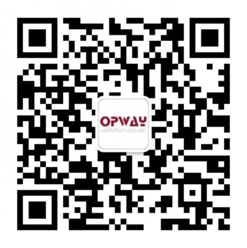 OPWAY communication insist on quality for survival.The company has world-class production and testing equipment from Japan, the United States and other places. We strictly checks all aspects of production to ensure the performance and quality of the products shipped to the international first-class level.We have passed ISO9001, OHSAS 18001, ISO14001 and other product certifications including CE, FCC, ROHS, TUV and FDA. 1. Provide the factory inspection qualification report of the product. 2. Provide the product specification and test report. 3. Minimum one year free warranty after-sales policy. 4. In case of quality problems during use, responding within 24 hours after receiving the user's RMA information and solve the problems immediately. 5. Visit customers regularly and accept their quality improvement suggestions modestly. If you still have any questions, you can contact us through the following ways, we will as always provide you with best service!